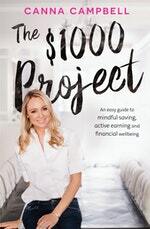 Financial planner Canna Campbell saved $32,000 in twelve months by using her unique strategy of bundling – saving and earning extra money in small, achievable parcels of $1000. Now she wants to empower you to get the same results! Drawing on material from her popular YouTube channel and website, here Canna shares all of her tips and tricks for saving and earning additional money, as well as advice for turning these savings into long-term passive income through savvy investments. She also gives general advice on how to get financially healthy, including how to clear up bad debt and how to manage your superannuation more sensibly. And she'll keep you motivated, focused and on track as you push yourself towards a better financial future. 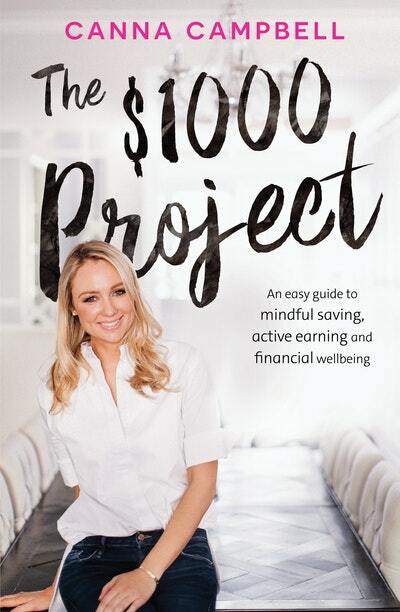 The $1000 Project is like a diet and exercise plan for your finances – you’ll see the immediate results in your bank account, and you’ll also come out of it feeling financially fit and strong and ready to set yourself up for success. Some of the best money-saving tips from Canna Campbell’s book The $1000 Project. Love The $1000 Project? Subscribe to Read More to find out about similar books.